As the ruling Justice and Development Party(AKP) takes a major democratic step and negotiates peace with the representatives of the Kurdish people, a major problem has surfaced again in Turkey: media-government relations. TheMilliyet daily newspaper published the transcripts of the meeting between some Kurdish MP’s and the leader of the PKK Abdullah Ocalan. This significant coverage, however, was somehow leaked and the PM Erdogan slammed the newspaper and columnists for publishing the transcript. 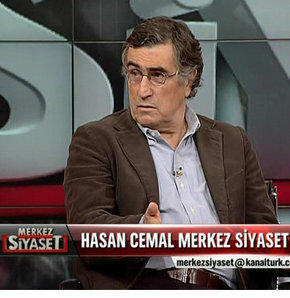 Not surprisingly, some influential Milliyet columnists including Hasan Cemal, who support the government’s democratization programme for the most part, were censored by the owner of the Milliyet, Mr. Erdogan Demiroren. Given the fact that many journalists are also jailed for their alleged involvement in attempts to overthrow the AKP government, PM Erdogan’s attack on journalists and Mr. Demiroren’s self-censorship has a debilitating effect on Turkey’s record of freedom of speech and causes suspicion about its democratization efforts. Let’s start with the role of media in a democratic society. Media is generally seen as a power which, as it informs the public and questions government and state policies, plays an important part in a country’s checks and balances. Yet, media can always be manipulated by political power or accused of manipulating society to serve some partial political, economic and social interests. In this sense, the Turkish case has many similarities with many others in the world. What is different is that the Turkish media has grown up as a child of the state. Although this relationship was transformed after the neoliberal reforms in Turkey in 1980s, the secular media championed the February 28 post-modern coup d’etat against the Islamist government in 1997. Now, secularists argue that the AKP is seeking revenge and replacing old media structures with its own. Although this might hold some truth, the logic of the media-government relationship is a little more complicated than that would suggest. First, although economic interests are an important determinant of media-government relationships, Turkish media cannot only be understood under this heading because influential newspapers have not hesitated to criticize the AKP government. Some might argue that the AKP government has punished those who criticize the government, but legal processes have demonstrated that the business people and journalists involved did not have squeaky clean hands either. The AKP has not persecuted journalists, so much as rather selectively targeted certain people and groups. Then there is the fact that the Kemalist media have tried every opportunity to undermine the legitimacy of the government through secularist propaganda and many calls to the Turkish military to intervene. AKP was smart enough to recognize the importance of public media and easily controlled the public broadcaster TRT and the national news agency, AA. Then, it encouraged its own businessmen to buy certain newspapers and news channels that would address its own constituency. AKP’s partnership with the liberal media continued, as long as its interests were at stake. Second, freedom of speech is both theoretically and practically weak in Turkey. The legal codes do not give people enough freedom to speak freely and the ambiguity in such laws has been easily utilized to punish journalists. This fact coincided with PM Erdogan’s authoritarian and manipulative character which requires that he is never challenged and prefers to finish his “projects” without criticism. For a project-oriented government that utilizes service-to-the-people arguments from time to time, newspapers and media outlets have become key arenas where such projects are negotiated or in other words fought over. Even the conservative media has criticized Erdogan and his government for his aggressive language against the media, but this has brought little outcome. Third, the AKP’s democratization programme has been inconsistent and selective in a way that neglects the media. Despite important achievements in civil-military relations and amendment of the undemocratic 1982 constitution, laws associated with freedom of speech and media have not been strengthened because they would weaken nationalist state policies. The killing of Hrant Dink prompted a strong reaction from civil society and international community, accompanied by demands to democratize laws and institutions. Regulating the media and freedom of speech were either strategically delayed as a result, or not even taken into consideration because of “high politics”. Overall, the lack of democratic laws and institution and some structural problems will continue to cause a headache for Turkey and the AKP. The leak in the peace negotiations and the aftermath is only a symptom of greater problems Turkey confronts. The lack of transparency and accountability might even hurt the peace process and a durable peace, let alone Turkey’s record in violating freedom of speech. Let’s hope both Turkish and Kurdish people come together in Newroz next week to address all these problems could in a much more inclusive way.